What is my right as a Father (Paternity cases)? What is my right as a Father (Paternity cases)? What is my right as a Father (Paternity cases)? If a child is born out of wedlock, Florida considers the mother the natural, legal custodian of the child, even if the father signs the birth certificate. It’s important for Father’s to realize that they CANNOT stop an unwed mother from leaving the state unless the father has a custody order from the court. It’s just as important to know that acknowledgment of paternity on a birth certificate does NOT equate to a right of temporary custody superior to the mother’s prior to a court order from the family law court. Until there is an order of custody, only an unwed mother may be entitled to a pick up order (which is used if a parent flees with the child). The father of a child, even if his name is on the birth certificate, does not have the right to a pick up order because the mother is the natural, legal custodial of the child. This is a very common misconception and one that fathers must be aware. In order for a father to obtain parental rights over his child born out of wedlock, he needs to file a Petition to Determine Paternity with the family law clerk of court in Florida. Essentially, even though paternity has been established as a matter of law (by the signing of the birth certificate), for a father to have parental rights, the ability to make decisions for the child and the right to have visitation (now called timesharing in Florida) with the child, the family law court in Florida must establish paternity and this must be done by filing a Petition to Determine Paternity. 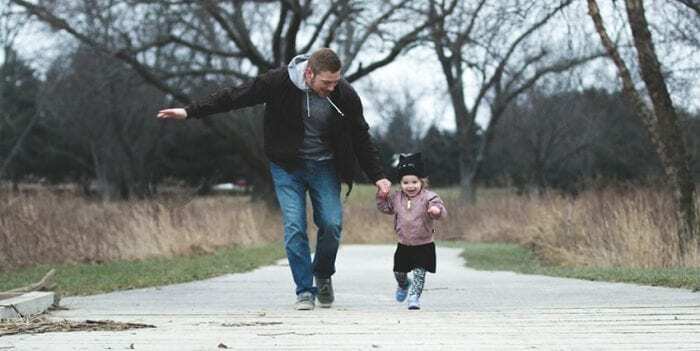 Until the family law court establishes paternity and parental rights for the father, the father has absolutely no rights to even visit with the child. All timesharing with the child is at the discretion of the child’s mother. Child Support Enforcement through the Department of Revenue becomes involved in cases in which child support is an issue, especially if the mother receives state aid (such as Medicaid, food stamps, etc). Even if a father has been ordered to pay child support by a hearing officer in a Department of Revenue Child Support Enforcement case, the father still has no legal parental rights until filing a Petition to Establish Paternity and having paternity established in the family law court. Child Support Enforcement hearings are solely related to child support. The hearing officer at these hearings does not have the authority to order any kind of parental rights or timesharing with the father and the child. Many parents believe that if he/she is supposed to be receiving child support and is not receiving it, then he/she can withhold timesharing between the other parent and the child. Likewise, many parents also believe that if he/she is not receiving the timesharing he/she is supposed to receive, that he/she can withhold child support. Both of these assumptions are wrong. There is no link between timesharing and child support as it relates to withholding one in order to get the other. One of the worst things a parent can do is withhold timesharing from the other parent, except in very extreme circumstances which should be discussed with an experienced attorney. Similarly, both parents have an obligation to financially support the child from the date the parties separate, even if a court order isn’t in place. The non-custodial parent should be financially assisting the parent with whom the child resides beginning the date that the parents separate (“separate” meaning that the parents stop leaving together). If you are a father with a child born out of wedlock but do not know the location of your child or the mother of your child, it is imperative that you register with the Putative Father Registry to prevent your child from being adopted. You should contact an experienced family law attorney to assist you with this to protect your rights as a father. Paternity cases—cases regarding children born out of wedlock—can be extremely complicated, especially since there can be two separate courts involved (the family law court which establishes parental rights, and the hearing officers with the Department of Revenue Child Support Enforcement division that determine child support). To maneuver through this complicated process, one should at least consult with a Tampa child custody attorney who handles paternity cases. My office represents both fathers and mothers in paternity cases and represents fathers in cases involving Child Support Enforcement with the Department of Revenue.